The Microsoft Dynamics CRM Sustained Engineering (SE) team have been hard at work to get the UR12 release to us on Jan 7 2013. This entry was posted in Information, MS CRM and tagged CRM 2011, CRM Online, Microsoft Dynamics CRM 2011, MSCRM, MSCRM 2011, Rollup 12, Updates on January 7, 2013 by Rhett Clinton MVP. Custom workflow activities can now be registered in the sandbox and are supported by Microsoft Dynamics CRM Online. The Developer Toolkit for Microsoft Dynamics CRM 2011 and Microsoft Dynamics CRM Online now supports Microsoft Visual Studio 2012. Added information about the new getClientUrl method. This method returns the base URL that was used to access the application. This is now the recommended method to use to access the organization URL. The getServerUrl method is deprecated. Added a new topic for the new metadata query capabilities included in the Microsoft.Xrm.Sdk.Metadata.Query namespace. Updated the topic to include information related to support for browsers other than Internet Explorer. Added information about the new Like/Unlike feature. Updated information about default number of records that you can follow, and the maximum allowed number of characters in the post and the post comment. Also, updated configuration information about obtaining full functionality for activity feeds. Added support for the Microsoft online services environment to connect to Microsoft Office 365. Added a new topic to address issues related to solution development when Microsoft Dynamics CRM Online includes features that cannot be enabled in an on-premises deployment of Microsoft Dynamics CRM 2011. Added a note to the Export an Unmanaged Solution section to indicate that, after Microsoft Dynamics CRM 2011 Update Rollup 12 and Microsoft Dynamics CRM December 2012 Service Update, un-customized form definitions will no longer be exported with unmanaged solutions. Added new and updated information about using Windows Azure with Microsoft Dynamics CRM 2011 and Microsoft Dynamics CRM Online. Added a new sample to show a way to deal with the situation where portions of the Xrm.Page object load into the updated forms asynchronously so they may not be available to scripts in HTML web resources at load time. Updated these samples to build with newer versions of the Windows Azure SDK, version 1.7 or 1.8. A bunch of sdk samples have been added and others updated. This entry was posted in Information, MS CRM and tagged 5.0.13, CRM, CRM 2011, Microsoft Dynamics CRM 2011, MSCRM, MSCRM 2011, Rollup 12, SDK on January 7, 2013 by Rhett Clinton MVP. The CRM Field Guide is an essential guide to Microsoft Dynamics CRM that everyone should have on their bookshelf. This book offers you details not only on CRM fundamentals and extensibility points but also the tried and true best practices and strategies of the combined experience of some of the most recognizable global experts in the CRM industry. The field guide contains insights from many CRM MVP contributors and is intended to be a book you pick up over and over again as you use CRM. In the CRM Field Guide you will find details that can help administrators, customizers and developers; not to mention power business users wanting to know all the details the admin never tells them. If you run CRM in the cloud or sitting in a server room at your office the information is useful. 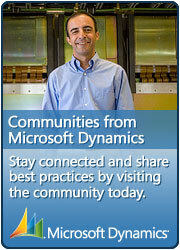 19 Dynamics CRM MVP authors tells you a lot and nearing 1000 pages it is packed full of goodness. Chapter 1 – Building the Foundation – This chapter lays the groundwork for understanding the various terms and parts of a CRM Organization. It includes helpful tips not covered elsewhere in the book. Chapter 2 – CRM Server Installation & Configuration – Learn the requirements, the planning steps, and the process for installing and configuring your CRM server. Chapter 3 – CRM Outlook Client Installation & Configuration – addresses the different choices and troubleshooting techniques for installation and configuration of Dynamics CRM Outlook Client. Chapter 4 – CRM 4 Upgrade to CRM 2011 – In this chapter you’ll learn the software and hardware requirements, develop an upgrade plan, prepare your database, upgrade customizations, perform and test the upgrade and train your users. Chapter 5 – E-mail Router Installation & Troubleshooting – covers the necessity of the e-mail router, the deployment wizard, the configuration manager, hardware and software requirements, installation and configuration and user settings for the e-mail router. Chapter 6 – Security Best Practices – covers the why and the how of security in Dynamics CRM, including the security tools already built in to CRM as well as a look at special case handling. Chapter 7 – Sales Management Best Practices – examines critical success factors for sales management, activity and lead management, customer, opportunity and pipeline management, and workflows and sales processes. Chapter 8 – Service Management Best Practices -explains the optimal use of cases, contracts, articles, service scheduling and the service calendar. Chapter 9 – Marketing Management Best Practices – is a detailed look at the benefits of CRM’s marketing tools, including marketing lists and campaigns, as well as campaign reporting. Chapter 10 – The Power of CRM & Outlook – explores the benefits of integrating and synchronizing CRM and Outlook and explains how to make it happen and make the most use of the combined tools. Chapter 11 – Dynamics CRM Goal Management – is an in-depth look at the foundations of goal management, ranging from Sales to Marketing to Service and beyond. Chapter 12 – Processes – delves into the power and scope of Workflows and Dialogs, how they work and how you can use them for maximum benefit. Chapter 14 – Report Development – shows how to create the best (read: most useful) reports by utilizing SQL, FetchXML and other tools to build custom reports in CRM. Chapter 15 – SharePoint & CRM: Better Together – discusses the benefits of SharePoint collaboration tools being integrated with CRM in order to provide the 360° view of the customer, including how to set up integration and how to access CRM from SharePoint. Chapter 16 – CRM Outlook Optimization & Troubleshooting – examines what you can do to optimize the performance of the Outlook client and how to troubleshoot CRM for Outlook. Chapter 17 – CRM Server Optimization, Maintenance & Monitoring – covers CRM server, IIS, and SQL server optimization, as well as maintenance and monitoring of the servers. Chapter 18 – Data Management Best Practices – explores using the Data Import Wizard, duplicate detection, and bulk deletion, plus best practices for ensuring high-quality data in your CRM system. Chapter 19 – User Adoption – shares key concepts and strategies for encouraging and improving user adoption within you organization. Chapter 20 – Customization Strategies – discusses a variety of strategies that can be used to customize CRM to fit your business needs and reviews the solution architecture and management. Chapter 21 – Introduction to Solutions – gives details on custom solutions and components, managed vs. unmanaged solutions, the importing and exporting of solutions, deleting solutions and managed properties. Chapter 22 – Solution Management and Troubleshooting – is a more in-depth look at solutions, covering import behavior, managed properties, layering strategies and tips and tricks to get the most out of your CRM solutions. Chapter 23 – Dynamics Connector – From Zero to Hero, in this chapter, you will learn what some of the considerations are when combining CRM with other members of the Dynamics family, what options are available, how to choose and implement the best option or combination of options, and some helpful resources for reference. Chapter 24 – Rapid Development Best Practices – is an overview of the strategies of preparation, planning, execution and delivery of customizations in an efficient and effective way that meets the needs of the client without reinventing the wheel. Chapter 25 – Community Resources – is a plethora, a veritable cornucopia, of resources from the global community of user groups, users, MVPs, Microsofties, social media masters and blogs that can help you maximize your CRM skills and guide you to the answers you seek. This entry was posted in Information, MS CRM and tagged Book, CRM 2011, Microsoft Dynamics CRM 2011, MSCRM, MSCRM 2011, MVP, Rhett Clinton, The CRM Field Guide on October 13, 2012 by Rhett Clinton MVP. The Microsoft Dynamics CRM Sustained Engineering (SE) team have been hard at work to get the UR11 release to us all on October 12 2012. This entry was posted in Information, MS CRM and tagged CRM, CRM 2011, download, Microsoft Dynamics CRM 2011, MSCRM, MSCRM 2011, online, Rollup 11, Update on October 13, 2012 by Rhett Clinton MVP.